America’s oil and gas industry is a force multiplier for U.S. influence around the world. For decades, many of the planet’s great energy producers have been tyrannical regimes who leveraged their oil wealth to oppress their own people and pursue evil foreign policies. However, thanks to American ingenuity, the United States has unleashed its own energy potential—now becoming a major player in the global market. 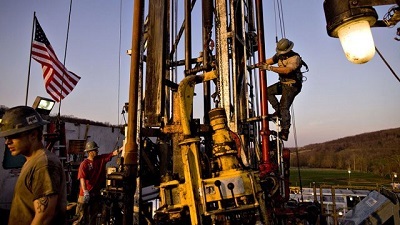 In large part, America’s revival as an energy superpower is a result of the shale revolution. Through the process of hydraulic fracturing, or ‘‘fracking,’’ we are now able to reach oil and gas deep within the earth, where they were previously unreachable. With this new technology the U.S. has gone from the world’s largest oil importer, to one of the world’s largest energy exporters. Just a decade ago, the U.S. was importing 12.5 million barrels per day of crude oil and fuel. Today, it’s just 4 million barrels per day. Between 2010 and 2017, U.S. oil production rose from 5.5 million barrels per day to 10 million barrels per day-approaching a record last set in 1970. This has allowed for a dramatic reduction of our dependence on foreign oil which ultimately strengthens our national security. In the nearly three years since Congress ended the restrictions on exporting crude oil, the U.S. has beat market expectations and surged its exports to a record 2.6 million barrels per day. By 2022 we will export more oil then we import. But the good news isn’t limited to just our oil production. U.S. natural gas production has been setting new records almost every year since the year 2000. Again, thanks to innovations in liquified natural gas—commonly known as LNG—we can ship this growing resource anywhere in the world. In the last year, we have become a net exporter of natural gas for the first time in 60 years. In the coming years it will only improve as the market of natural gas consumers grows and more exporting facilities come online. America’s comeback as an energy superpower has wide-ranging geopolitical implications. First, it is an obvious benefit for Americans and the U.S. economy, reducing our trade balance and creating new well-paying jobs. In turn, this generates more revenue making us an even stronger nation. Second, it means a lot less money is going to repressive regimes around the world who we were previously dependent on for oil. And since energy is more abundant, the price of oil is decreasing. Overall the result is less money for Putin’s Russia, the Ayatollah’s Iran, and Madura’s Venezuela. With the low price of oil, international sanctions, and their own economic mismanagement, these regimes who could rely on their oil wealth to fund their evil activities are instead seeing their economies tank. Now their people are in the streets demanding accountability. Saudi Arabia and the Gulf states have long been important U.S. strategic partners because we needed their oil and their leverage in stabilizing global oil prices. But now we can redefine our relationship, making it less about maintaining oil access and more about other strategic US interests. With growing energy independence, we can pick our allies rather than have them picked for us by the necessity of access to oil. This does not mean we should become isolationists or abandon our traditional partners. Instead we should do the opposite. With our oil and gas advantage we are more empowered to argue that our allies must be more responsible, including improving their human rights records. Our increased oil and gas competitiveness allows our friends abroad to be more secure and less dependent on bad actors. For far too long, our European allies have been vulnerable to energy blackmail from Russia—particularly through the supply of Russian natural gas. But with American LNG alternatives, European states can stand up to Putin’s bad behavior without suffering retaliation through their gas supply. Lastly, U.S. oil and gas exports reinforces the importance of free trade. This includes NAFTA. About 60 percent of U.S. gas exports now go to Mexico, providing a major boost to our trade balance. Canada has become a major importer of American refined fuels. Together, the U.S., Mexico, and Canada represent 20 percent of global oil and gas supply. Our integrated energy network makes North America a rock of stability and prosperity in the world. Overall, the increased competitiveness of U.S. oil and gas production is good for America and good for the world.